What if you could turn the pristine white daisies into colorful ones? Wouldn’t you like a bouquet of pink, red, yellow, orange, and blue daisies? Now you can! 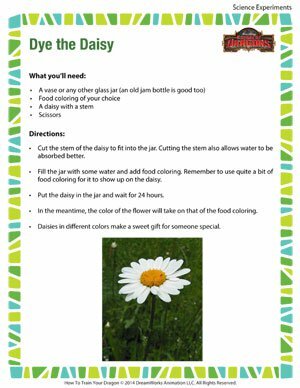 Try out this free science experiment for kids to learn how you can do that at home with just a few everyday items! Also check out the other fun science experiments to try at home !